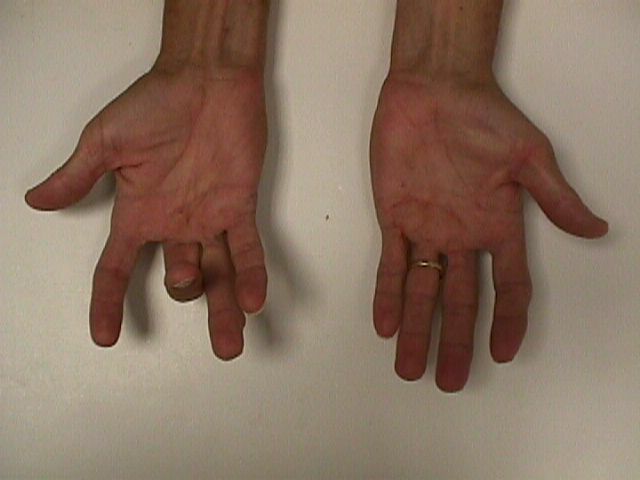 Needle Aponeurotomy ring and small fingers, MCP and PIP contractures released. 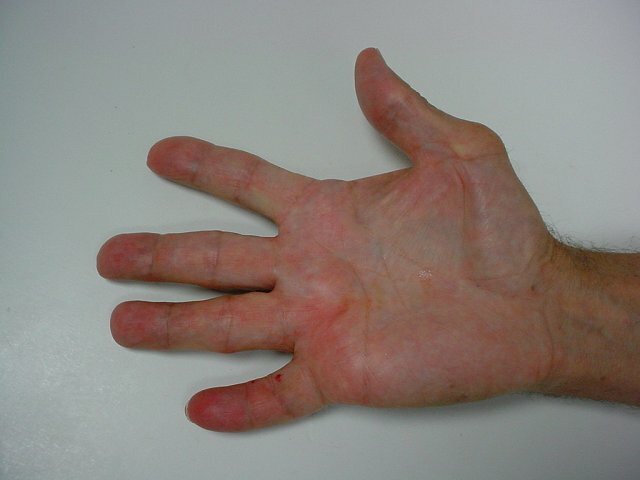 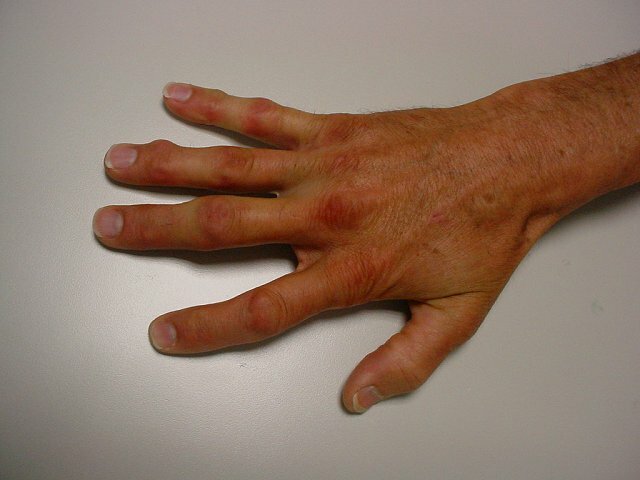 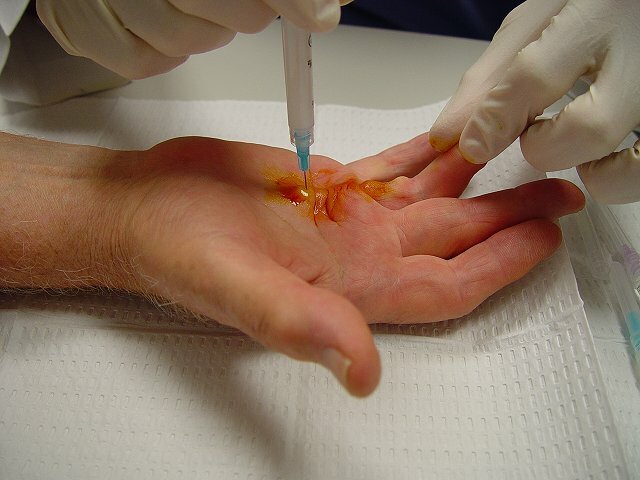 Needle Aponeurotomy ring finger MCP and PIP contractures released - finger nodules remain, but are likely to soften and shrink somewhat during the healing process. 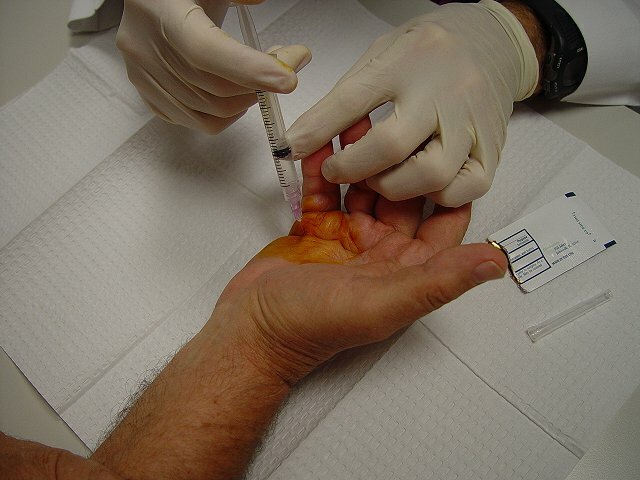 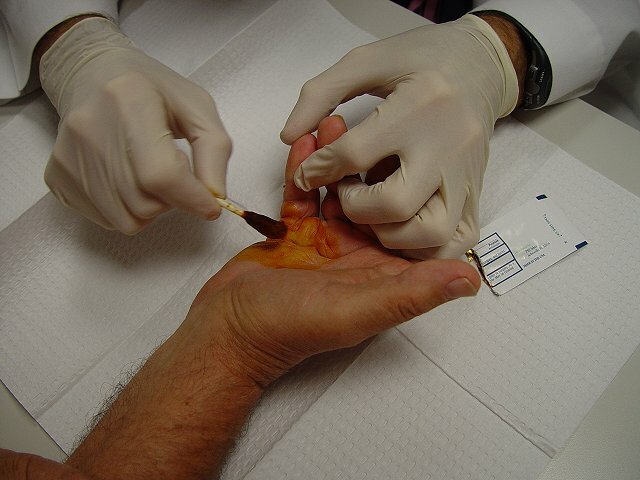 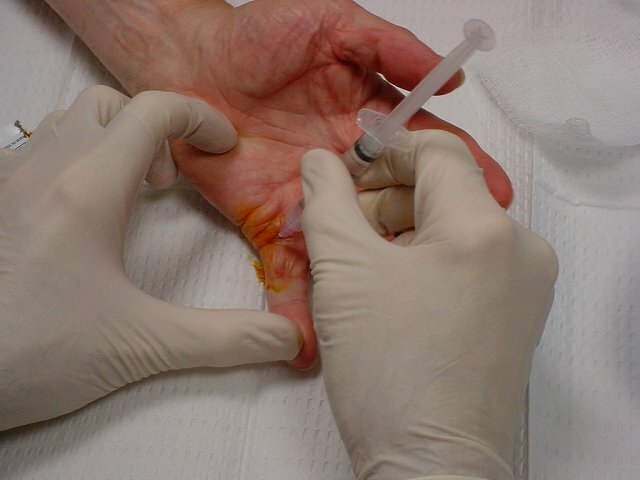 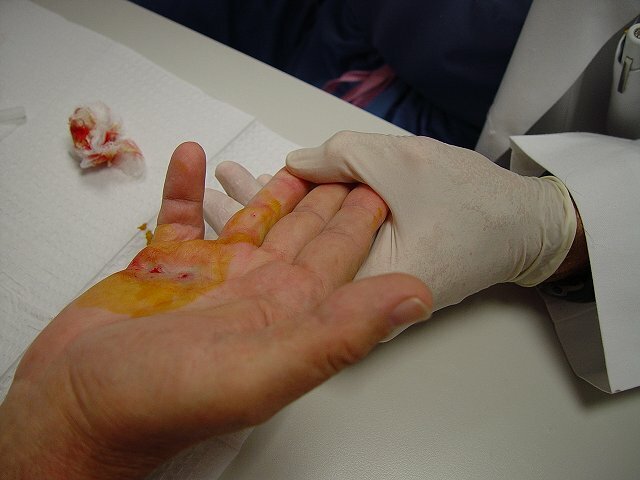 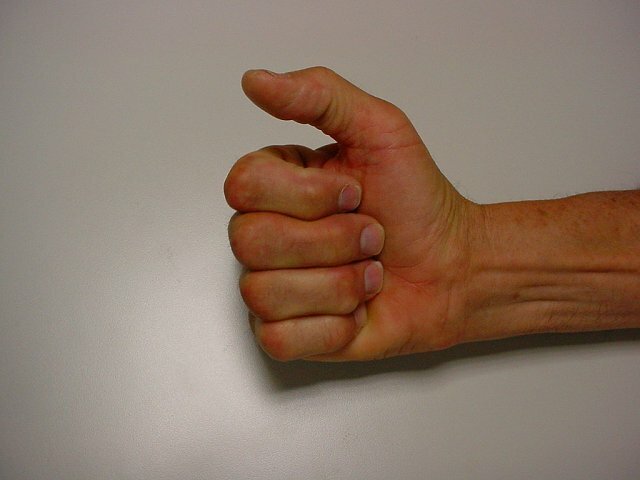 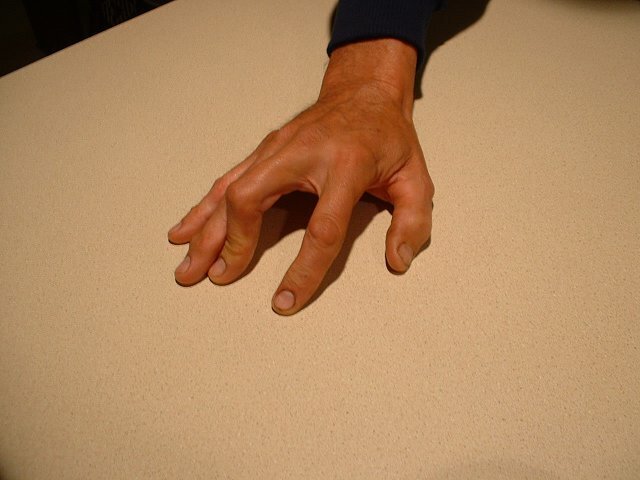 Needle Aponeurotomy small finger PIP contracture released. 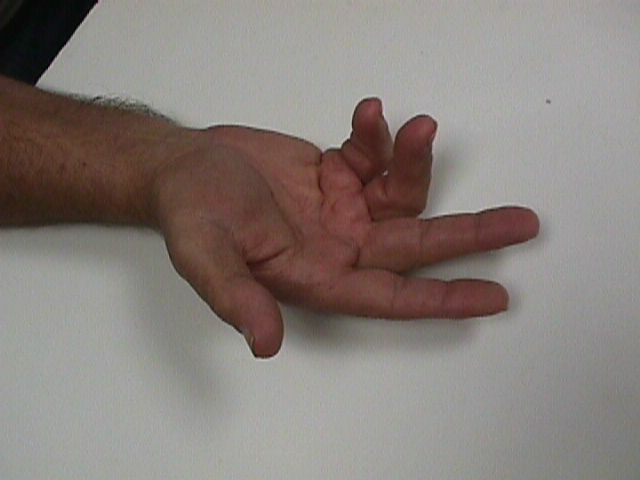 Needle Aponeurotomy middle finger MCP and PIP contractures released as well as middle-ring web space ("natatory ligament") contracture release. 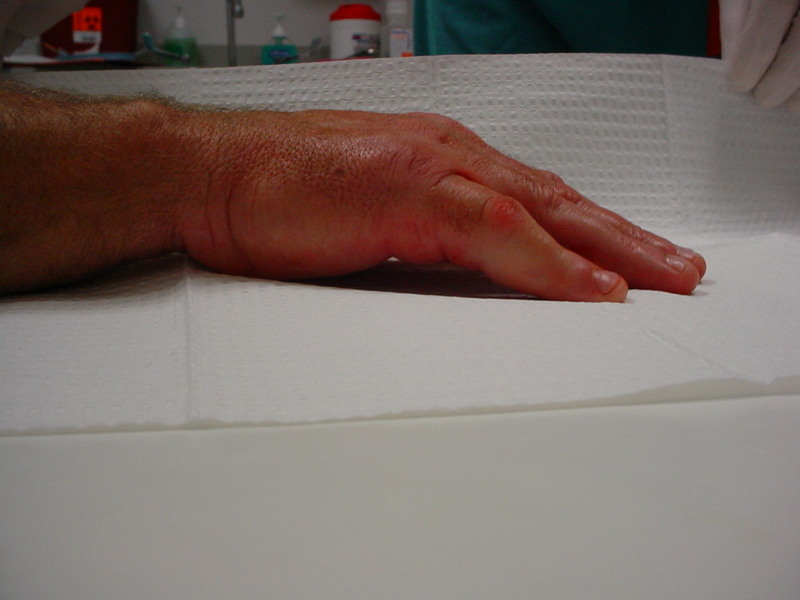 When the finger was straightened, there was a spontaneous tear of the tight skin at the base of the finger. 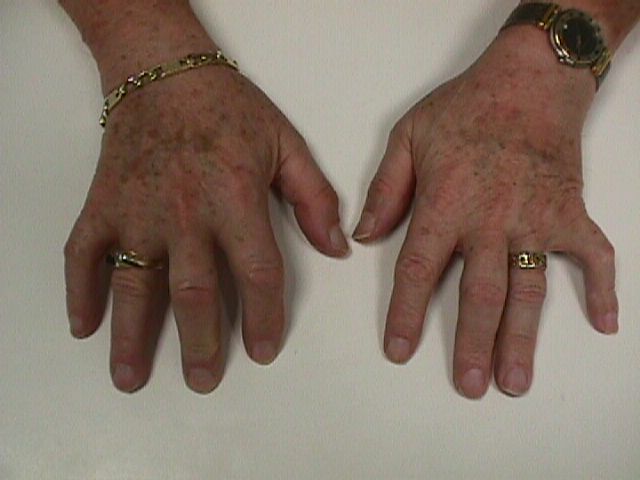 Flash movie in middle is immediately before and after the procedure, and the bottom row of pictures is three days post procedure. 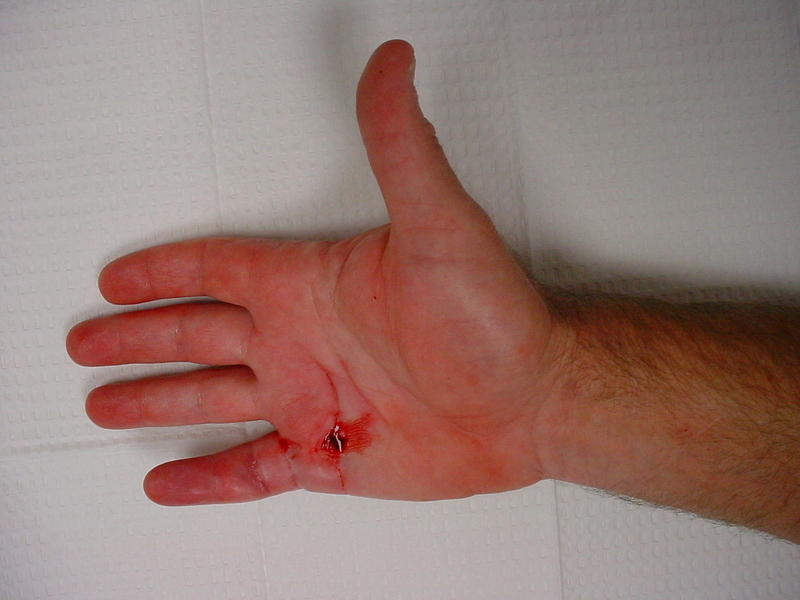 Needle Aponeurotomy left ring MCP and right small PIP and DIP. 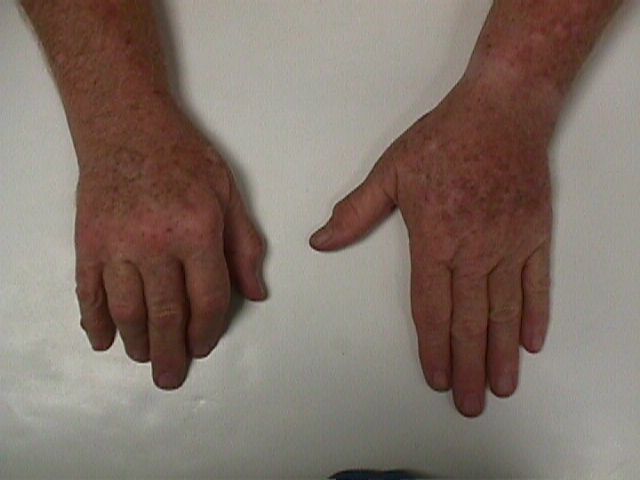 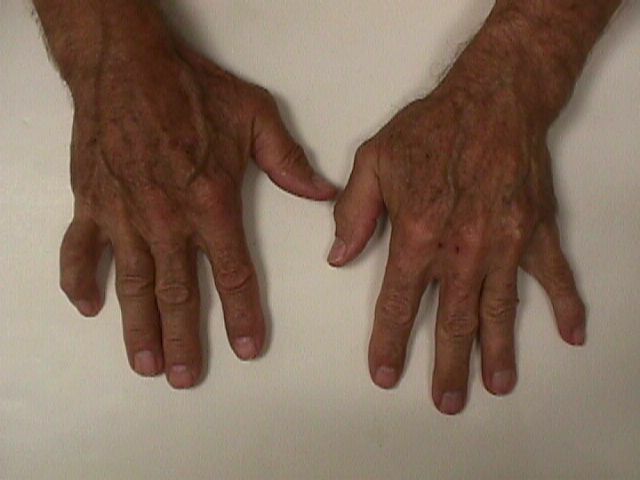 Bottom left and middle images are four days post procedure, and bottom right is immediately after the small finger procedure. 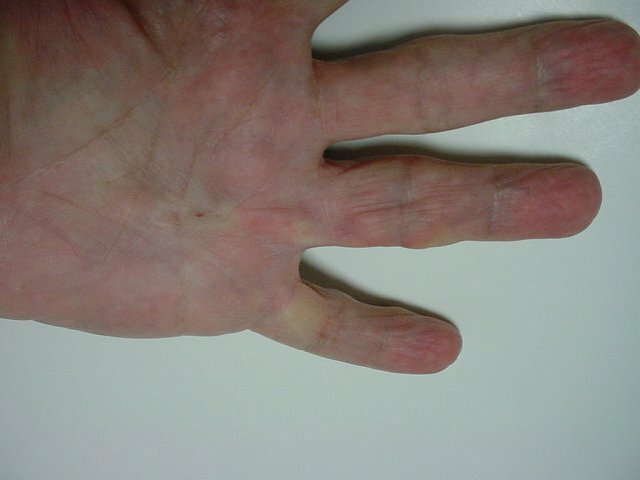 Needle Aponeurotomy for recurrence two years after right small finger needle procedure. 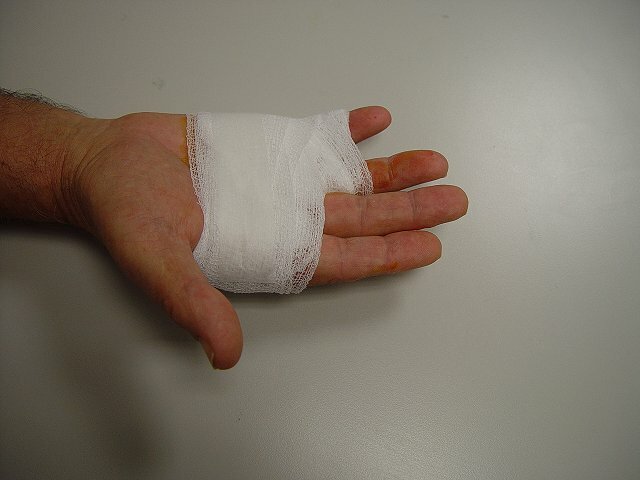 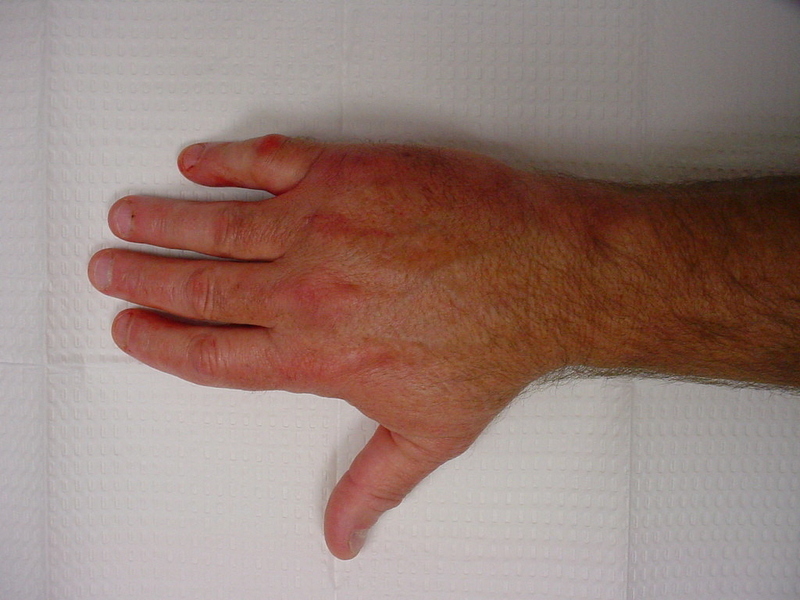 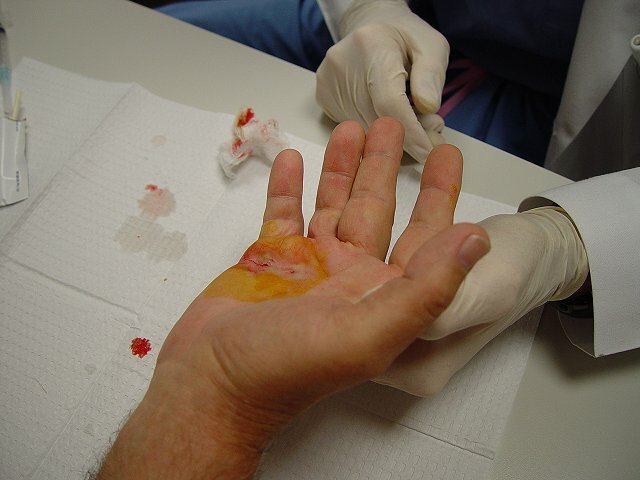 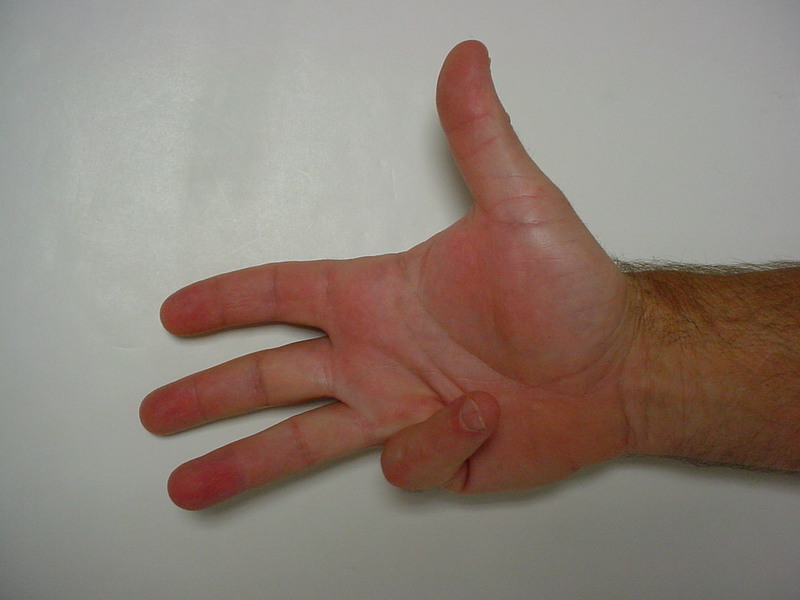 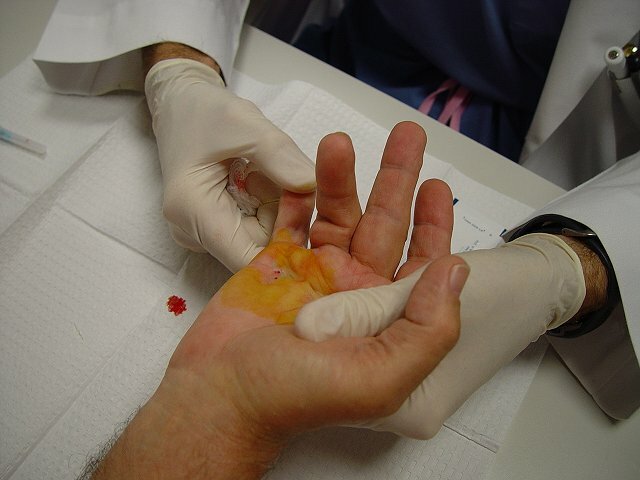 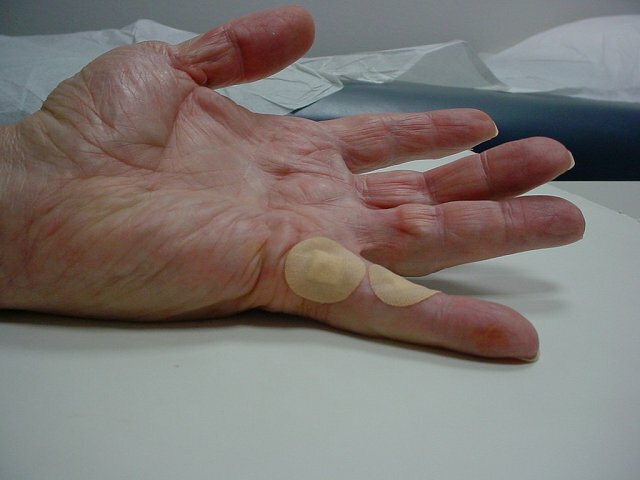 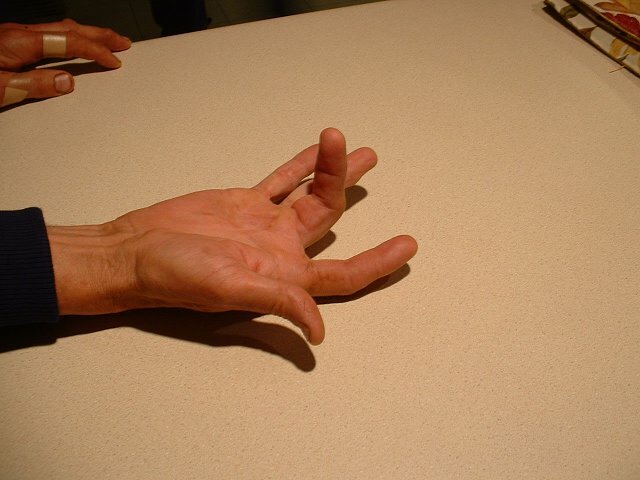 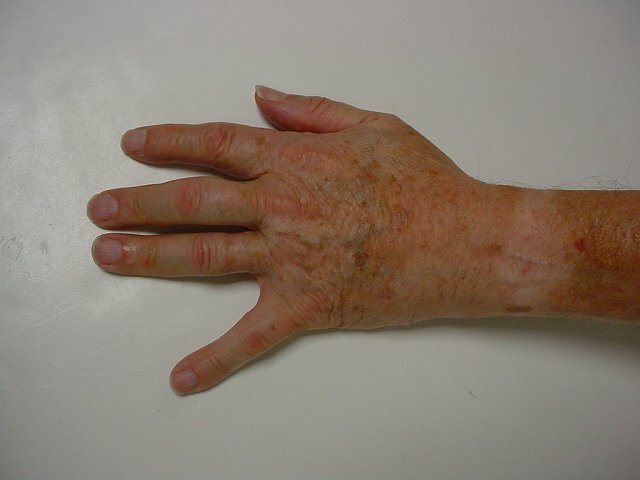 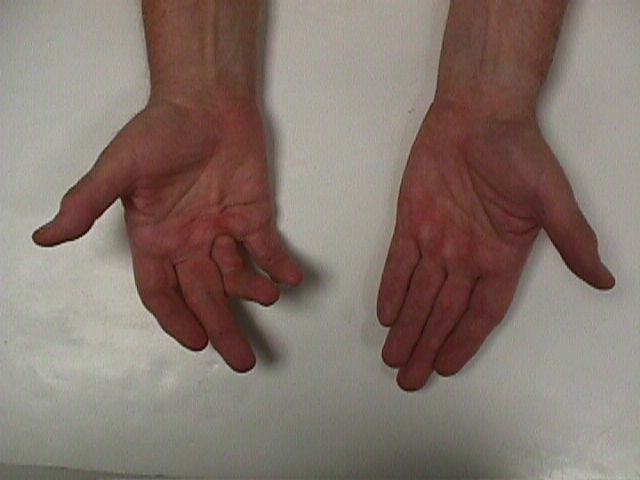 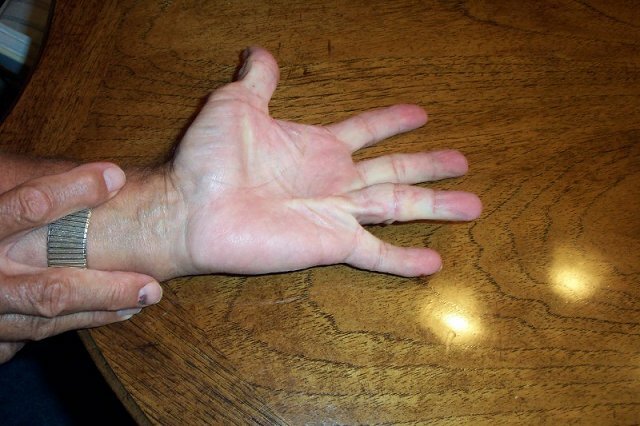 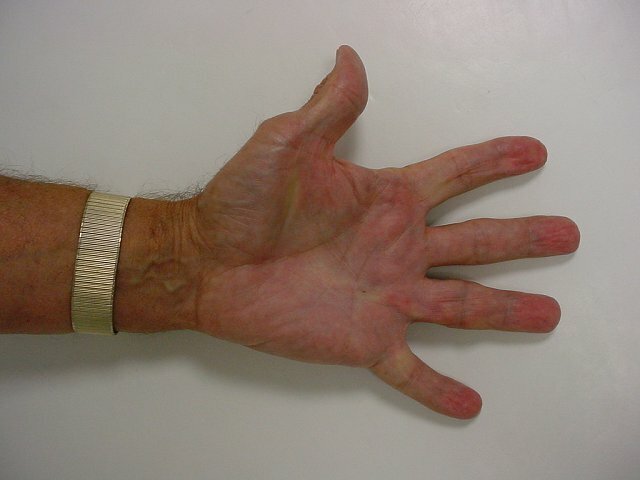 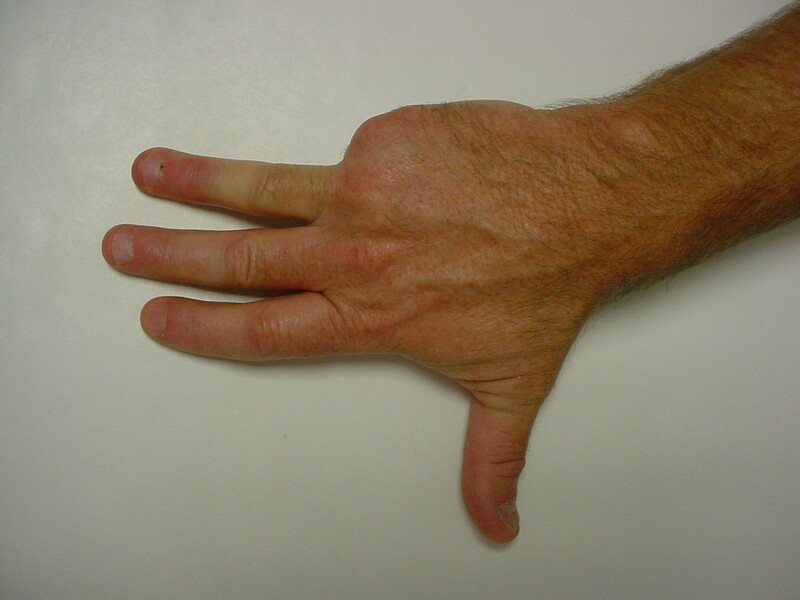 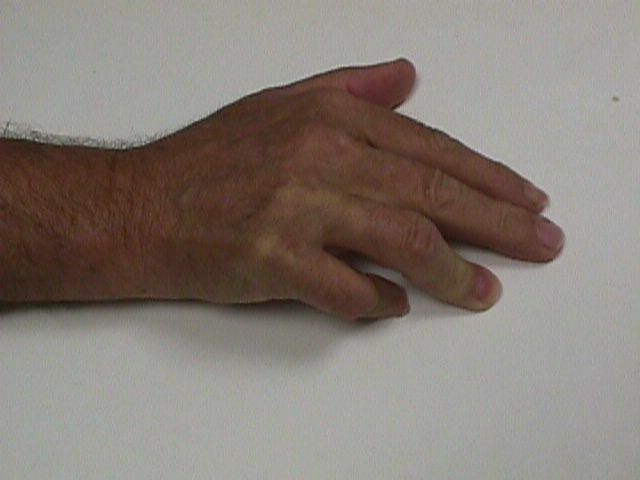 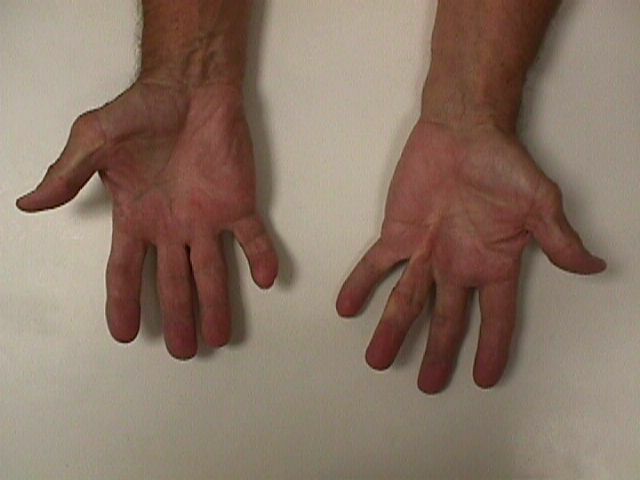 Tear in the skin at the distal palmar crease, smaller than a similar tear reported at the first procedure.